I started food blogging back in August of 2010. At first, I felt like I was having trouble keeping up with the blog and was unsure if I was a "good" blogger or not. But as time went on I became more comfortable writing and sharing, and I have been able to "meet" many great food bloggers, like Lynn from Sprinkles of Flavor. Lynn told me today that she was awarding me with the "Stylish Food Blogger Award," and although it may not seem like much to some, I was honestly quite proud and happy. I still consider myself a newbie to all of this and am excited that my blog has been growing and that others actually like to read it! :) It is definitely a great feeling and I encourage any other new bloggers to keep typing away and to continue to share, because it will get noticed! In order to celebrate, I decided to relax and mix myself a nice little cocktail - the Whisky Sour. *Note: This is for 2 or more drinks. Cut recipe in half if only making one. Combine the whisky, lemon juice, lime juice, and simple syrup in a glass. Fill a cocktail shaker with ice, and pour the whisky mixture into the shaker. 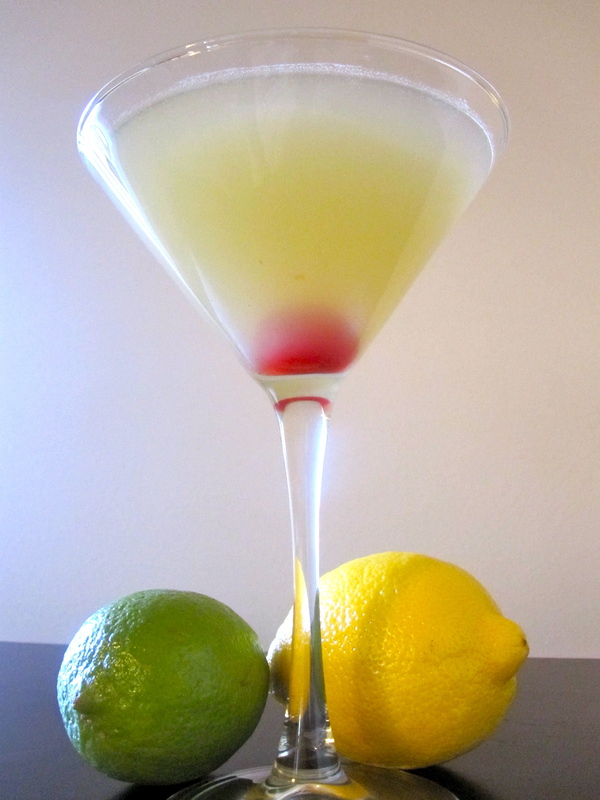 Shake well and pour into a Martini glass. Garnish with a cherry. 1.) I am obsessed with the FRIENDS TV series and have watched every single episode at least 3 times if not more. 2.) I live in Massachusetts and have never been to Cape Cod. 3.) I am a competitive Latin Ballroom dancer and have trained with people such as Karina Smirnoff, Maksim Chmerkovskiy, and Jean Marc Genereux. 4.) My favorite actor is Adam Sandler and I hope to meet him someday (and maybe even my favorite band - Aerosmith). 5.) I never use to cook - not even toast! Congrats on your award and awwww, how sweet of you to honoring me with the award! Your coctail looks amazing, cheers! Congrats :) and that cocktail sounds something I will enjoy !! Elyse~Thank you so much!!! That seriously made my day! Thank you so much for first of all thinking of me and for following up on my blog!!! That really means alot. Thank you again! Love your blog and those cupcakes and truffles look amazing right now! Oh my!!! Thank you so much Elyse! And guess what?? It is my birthday today!!! 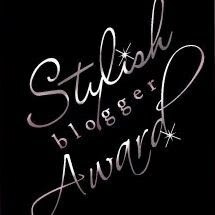 So this stylish blogger award (my first ever!) is a great present! :-) The cocktail looks delicious... might try tonight to celebrate! Cheers! Congratulations on the Stylish Award. Enjoy the drink and the night. What a great post Elyse!! and a great way to celebrate with a cocktail! Cheers!! Congrats on the award! What a delicious way to celebrate - this is a great cocktail! Cheers! Congratulations and thank you for passing it on! I am truly honored! And, your cocktails sound amazing! I like how you celebrate. I could use one of those right about now. Cheers! Congratulations on your stylish award and thank you so much for passing it on to us! You have a beautiful blog here!! Haha I'm glad I'm not alone in my FRIENDS obsession! Second of all, I love whisky sours, & ALL mixed drinks are better with fresh ingredients. Thanks for sharing! Thank you so much I'm glad you like my blog! THANKS Elyse for the award! I am so honored and excited you like my blog! and congrats on receiving the award as well! this blog is GREAT! and so it this drinkkkk! Congrats on your award,well deserved! Also, that drink is making me thirsty-I am ready for happy hour-Cheers! Congratulations on your well deserved award and how COOL that you are a competitive ball room dancer!